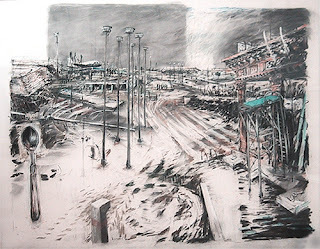 William Kentridge has said that he was "reduced to being an artist" under South Africa's apartheid regime, waiting for society to change before deciding what to do with his life. By the time revolution came, it was too late for Kentridge to be anything other than an artist, actor, film-maker, playwright, puppeteer, theatre and opera director. Born in 1955, he is arguably South Africa's best-known artist. The painter Marlene Dumas, two years older than Kentridge, has as large a reputation, but has worked in the Netherlands since 1975 and is only now having her first exhibition in Cape Town, which opened a week ago. Kentridge has lately turned to opera: his 2004 production of Mozart's The Magic Flute has toured to Brussels, Lille, Naples, Tel Aviv and New York, and he is currently working on a production of Dmitri Shostakovich's 1927 opera The Nose (based on a short story by Gogol) for New York's Metropolitan Opera. But essentially, Kentridge remains a draughtsman and a storyteller. He is best known for his charcoal animations, for which he would draw, erase and redraw successive images on the same sheet of paper, photographing the process as he went. His most famous series of these, the Soho Eckstein films, follow the life and crimes of a white South African industrialist through the last years of apartheid and into the new democratic era. In the last Eckstein film, Tide Table (2003), the fat, ageing magnate expires in his deckchair on a beach while the world goes on around him. Writing in the Village Voice, Barbara Pollack compared the Eckstein films - none more than nine or 10 minutes long - with The Sopranos. The story seems as vast as a continent, but largely consists of what Kentridge leaves out, what is intimated but unseen; you have to make it up yourself. 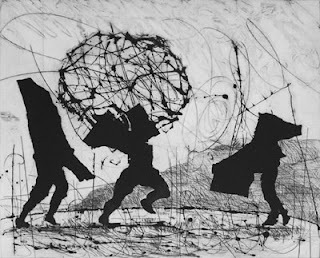 What is magical is how much Kentridge does with an animation technique that he has himself described as stone-age. Which is probably why Kentridge's animations are as good as they are. His art has an affecting, hand-made, do-it-yourself quality that is matched by a natural storytelling ability and a critical intellect. 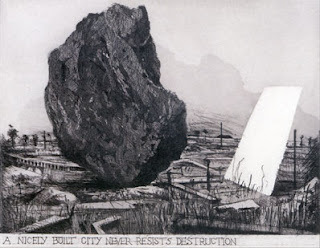 If his adoption of stop-motion animation and his almost expressionist, graphic use of charcoal appear old-fashioned, they are purposefully so. The more one looks, the more references pile in. The University of Brighton has now mounted a show of Kentridge's recent work, including much that has never before been seen in the UK. It is the largest British exhibition of the artist since an international touring show came to London's Serpentine Gallery in 1999. The most impressive work here is a group of 2003 films based on the cinematographer (and one-time stage magician) Georges Méliès, whose 1902 Voyage Dans la Lune remains one of the best-known early films. Whose childhood has not been haunted by Méliès' bullet-like space rocket landing in the man in the moon's eye? Kentridge's own Journey to the Moon and his Seven Fragments for Georges Méliès return us not only to the clunky, experimental days of early cinema, and to a sense of childhood wonder, but also to the artist's studio. Kentridge realised that Méliès' films were as studio-bound as any artist's work. Drawing together ideas from Méliès's film-making, the studio life of Jackson Pollock, and the studio films of Bruce Nauman, and combining them with Kentridge's own solitary working experiences, he created a work about "wandering around the studio waiting for something to happen". These seven short, looped vignettes are never boring. They mix live action with animation; Kentridge gives himself a charcoal-and-chalk doppelganger who looks back at his creator with a wary eye. It is difficult not to see these fragments as a single story, an attempt to take flight by the power of imagination alone. In this way, Kentridge echoes not just Nauman or Pollock but also Ilya Kabakov's drawings and installation about escaping his Moscow flat during the Soviet era in a homemade spaceship. Kentridge goes to the moon, or imagines he does, with a stove-top coffee-pot for his space capsule, an expresso cup screwed to his eye for a telescope. It is a world, then, of the everyday, of make-believe and of play. Running film backwards as well as forwards, doing and undoing his actions (the same way he draws), even performing backwards as Chaplin did in some of his early silents, Kentridge gives his actions an unearthly strangeness. At times he moves about with the slowness of a man walking on the sea bed. There are lots of tricks in these little films, but we know all of them. Or most of them: on one screen, there is a sort of Brownian motion of little white dots against a black background. At first, I think it is a film of busy microbes under a microscope, then of fields of restless stars in a jangling universe seen through a telescope. In fact, they're ants - projected in negative, purposefully seeking out then following an invisible trail of sugar with which Kentridge has coaxed the insects to draw straight lines, curves, a human being. (He even tried to "teach" the ants calligraphy.) One thinks of Bruce Nauman's video installation Mapping the Studio, an idea that sprung from an infestation of mice in his studio. Kentridge uses the summer invasion of ants, turning them into constellations and star fields. But while the studio can be a magical place, it can also be where an artist comes up against his or her own limitations. Kentridge said making his own Journey to the Moon was an attempt to escape. All these films are visible, after dusk and throughout the night, on Brighton's Grand Parade, being projected on the full-length windows of the arts faculty of the University of Brighton. Entertaining though this is from the street, I don't think it is the best way of watching these films. From inside the gallery, they appear back to front. This is annoying. The rest of the gallery spaces are used to display Kentridge's prints, which always strike me as secondary to his drawings and animations, even when he makes stereoscopic images that lurch into three dimensions when we look at them with the aid of a small viewing apparatus. More interesting by far is Kentridge's new work, being shown along the seafront in a ramshackle, partially restored Regency terrace house in Hove. In a darkened room, a film doesn't so much unfold as revolve in a spot-lit circle on a tabletop. The atmosphere is rather like attending a particularly raucous seance. Distorted, uglified forms turn about the circle of light, orbiting a static, shiny metal cylinder. Reflections of Kentridge's images are reflected in the curved surface of the cylinder, where they assume their natural shape. The weirdly extruded charcoal forms reveal themselves as African villages, a tree, a vast landscape, a bird, a great fat fly, a rhinoceros, a gun. A story is being told, both in images and in sound. Martial music blares, an Italian tenor croons, voices fade in and out, a gas mask looms in the mirror, there is a murder. Suddenly everything is blown apart, in a virtual explosion of smudged charcoal and bruised paper. This 35-mm film from 2006, titled What Will Come (Has Already Come), ultimately takes as its subject the 1936-7 annexation of Ethiopia by Mussolini's troops, and the later exodus of Ethiopian Jews to Israel during the famine of 1984-5. In almost all of Kentridge's animated films, as soon as we recognise an image, it is replaced by another, in a tide of erased and redrawn charcoal. Kentridge lays waste to his images in order for them to tell their story. His use of anamorphic images - rather like the phantom skull in Holbein's The Ambassadors, that weird extruded shape that only reveals itself for what it is if we stand in a particular relationship to the painting - is meant to alert us to the fact that how we see things, and interpret events, depends on where we stand. Our judgments do not escape history. But Kentridge's filmic anamorphosis is also great fun. It is mesmerising, even though its subject is grim, as was Holbein's, reminding us that death is no respecter of persons. 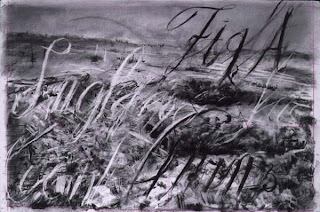 As Kentridge's range gets bigger, his focus just gets more acute. The biggest shame of the multitude of repercussions of the obesity epidemic is that it has been caused by Americans' personal choices. While genetics may play a certain part in a person's propensity to store fat or his or her drive to eat, that does not excuse that person from choosing unhealthy foods, eating too frequently, or not getting enough exercise. When all is said and done, the epidemic is a result of too many calories in and not enough calories out, but it is obvious that Americans are not doing the math. Something must be done. Colorado Springs phentermine dosage instructions So what is the healthy way to lose weight? Here are some tips that you can use as your guide. They are simple enough for you to understand and follow.